the movie takes the risk of playing it straight and sincere - and the risk pays off." "Steinfeld makes Nadine a hellion you can't tear yourself away from. She isn't just the star of "The Edge of Seventeen" - she's its center of gravity." "In the tradition of teen classics like Clueless, Mean Girls, and Juno comes The Edge of Seventeen, a brilliant coming-of-age comedy with anger issues." "Pick a god, any god, and thank them for this movie." 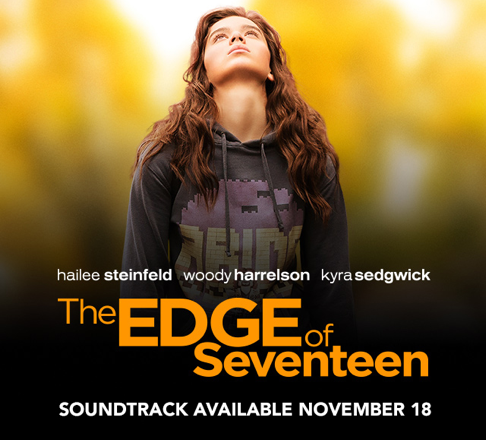 STX Entertainment releases the Official Soundtrack for "The Edge of Seventeen," available now. The Soundtrack features new singles from The Struts and Birdy, as well as standout hits from notable artists like Phantogram, Miike Snow, The 1975, Santigold, and more. "The Edge of Seventeen teamed up with Vogue last week to premiere Birdy's "Ghost In The Wind," which debuted on the heels of Consequence of Sound's exclusive listen for The Struts' cover of "Ballroom Blitz" earlier this month. The Official Soundtrack is now available for purchase via iTunes and Amazon. "The Edge of Seventeen" is a new coming-of-age movie in the vein of "Sixteen Candles" and "The Breakfast Club" - an honest, candid, often hilarious look at what it's like to grow up as a young woman in today's modern world. The film also stars Kyra Sedgwick as Nadine's well-meaning but completely ineffective mother, and Woody Harrelson as Nadine's History teacher, mentor and reluctant sounding board. "The Edge of Seventeen" marks the feature directorial debut of writer-director Kelly Fremon Craig, and is produced by Academy Award® winner James L. Brooks - the filmmaker behind big-screen, character-driven classics such as Terms of Endearment, Broadcast News, Big, Say Anything, The Simpsons, Jerry Maguire and As Good as It Gets. STX Entertainment is led by accomplished businessman Robert Simonds and was co-founded by Bill McGlashan, managing partner of the growth division of leading global private investment firm TPG, which has $70 billion of capital under management. The Company's Board of Directors includes prominent leaders in global finance and entertainment, including FrankBiondi, former President and CEO of Viacom, Inc. and former Chairman and CEO of Universal Studios; TonyVinciquerra, former Chairman and CEO of Fox Networks Group; Gigi Pritzker, CEO of Madison Wells Media; DavidBonderman, founding partner of TPG; John Zhao, CEO ofHonyCapital; and Dominic Ng, Chairman of East West Bank, among others. In addition to TPG Growth, other investors include Hony Capital, a leading private equity firm in China; PCCW, Southeast Asia's largest Internet and cable services provider; Tencent Holdings, China's leading provider of online products and services; Dominic Ng, Chairman of East West Bank; DNS Capital (representing the business interests of Gigi Pritzker and her immediate family); and Beau Wrigley, former Chairman and CEO of the Wm. Wrigley Jr. Company, among others. 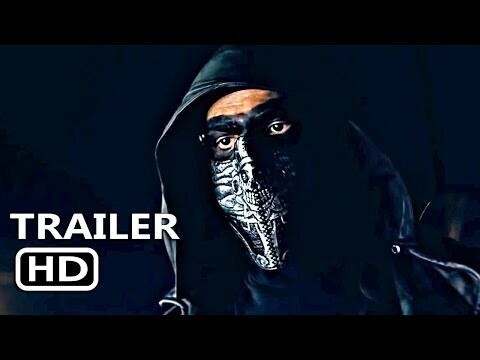 For more information, please visit stxentertainment.com/. Sony Music Masterworks comprises Masterworks, Sony Classical, OKeh, Portrait, Masterworks Broadway and Flying Buddha imprints. For email updates and information please visit sonymusicmasterworks.com.